I’ll do my best to keep offering you something for nothing with patterns that will hopefully help you to work through all that stash. You can download patterns by clicking on the images below. Welcome to Brighton! This design is worked in single coloured rows on a circular needle which creates an interesting, reversible two tone lace effect with a wonderfully springy texture. The scarf is not only named in honour of my hometown here in the UK but like many of my designs it celebrates my West Indian heritage as there’s also a Brighton in Barbados. This is a simple, fun crochet design which plays with stripes of trebles and half trebles that run vertically down the length of the scarf. Here I’ve used a spicy combination of colours for a really bold look but it’s great way to use up small amounts of 4ply that would also work well in a mix of cooler shades. As the stripes on this design run vertically you will be working on a large number of stitches but only for 12 rows For a wider scarf simply continue working in stripe pattern. This pattern is knitted in a stitch that actually looks more like crochet and takes just 2 hanks of Chunky Baby Alpaca (this one is knitted in Mulberry). 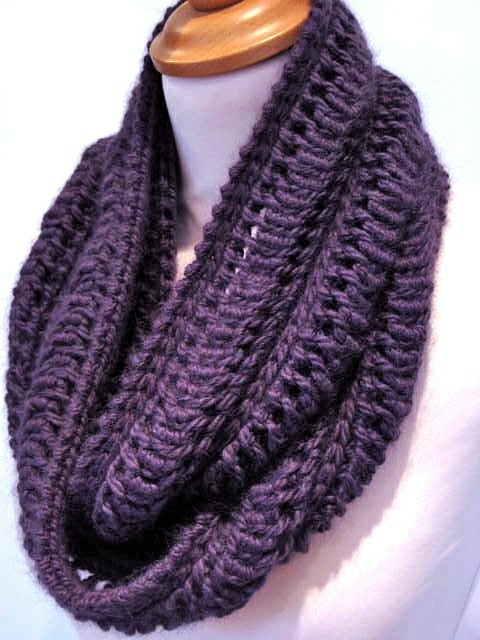 It's so quick to knit you could make one in a weekend or an evening if you really go for it. It's a perfect last minute gift whether you're knitting from stash or you choose the Edie Knitting Kit here. This pattern was originally called 'Bedroom Set when it was published but of course you can use it anywhere! 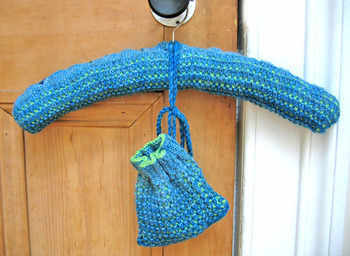 It’s a great stash project as you only need one ball of aran weight and one ball of 4ply yarn. Although the main yarn (Lana Grossa Soffice) is no longer available the instructions include information that will help when substituting yarns. 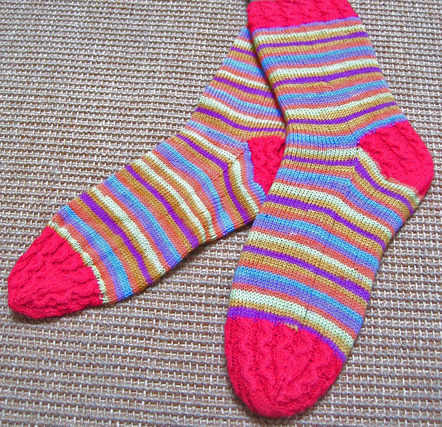 This sock which has a contrast coloured cabled cuff, heel and toe section is knitted using the ‘magic loop’ method. You'll need 100g of variegated / self patterning sock yarn plus a 50g ball in a solid colour for the contrast areas.